The EasyPULL Board features 8 pull-up/pull-down resistors with 10K or 1K values. Pull-up/pull-down selection is done by placing jumpers in Up or Down positions. 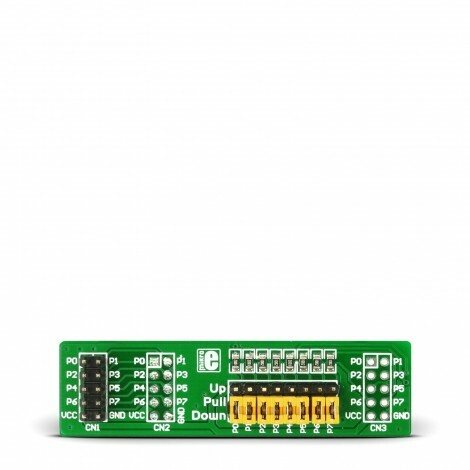 IDC10 connector and pin header are available on-board and enable connection with development boards and accessory boards, such as EasyLED.